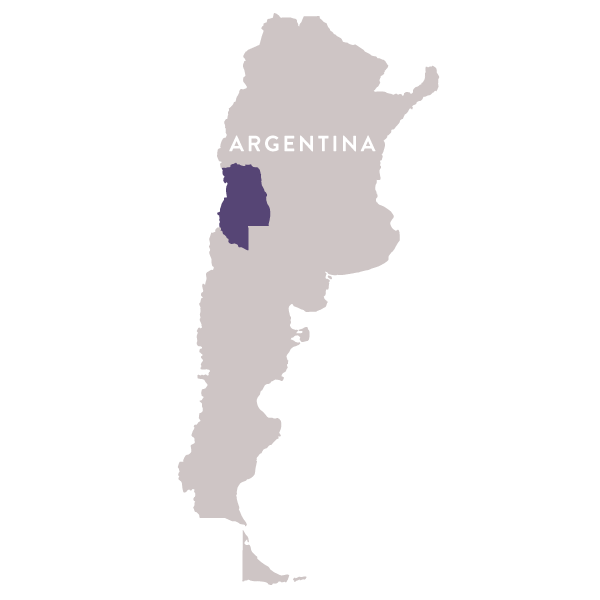 The Roca family has been producing wine in Mendoza for 4 generations, and currently farms 280 acres in San Rafael, the southernmost province of Mendoza. At altitudes of 800 meters (2,600 feet!) above the sea level, Roca’s vineyards produce distinctly cool-climate wines. The 8 acre parcel of Pinot Noir (Finca Santa Herminia), south-facing and on iron-red soils, is 3,000 ft above sea level, and could very well be the coolest parcel in all of Mendoza! Quality is the singular focus at Roca. Purely an Estate Winery, they buy neither grapes nor wine and bottle everything they grow. Alfredo Roca’s father held degrees in both viticulture and enology, so does Alfredo, and so does Alfredo’s son Alejandro. The family knows that only personal hands-on oversight, from planting to bottling, can assure the quality they demand.